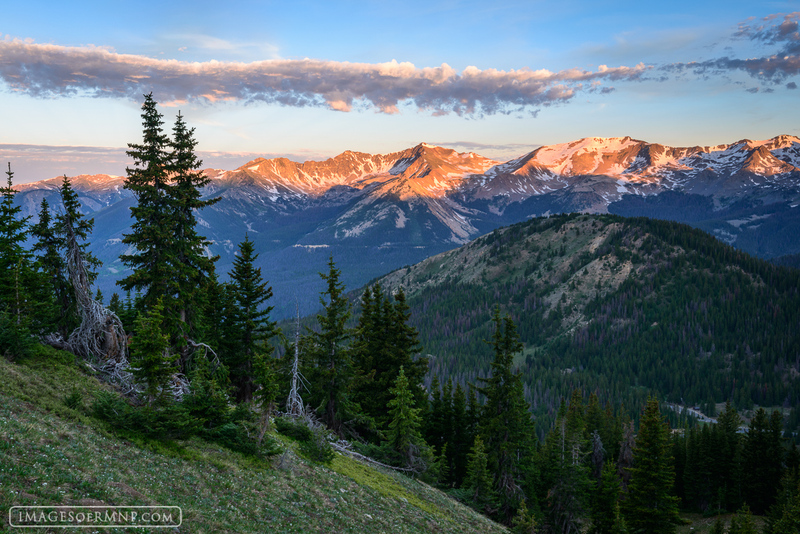 The Never Summer Mountains on the western border of Rocky Mountain National Park are some of the park’s most beautiful peaks. These rugged mountains hold on to the snow until late in the summer providing a beautiful contrast with the rich green forests and meadows that define the summer season. Photo © copyright by Erik Stensland.